This is final All Freelance Writing Podcast episode for 2014. So let me start by wishing everyone a happy new year! The next episode will go live on January 1, 2015, and I'll be back to regular blogging on January 5th. (Update: Due to a change in plans leading up to the holidays, the podcast return date was pushed back a week to January 8th.) In the meantime, catch up on some podcast episodes or listen to the latest below, covering blogging breaks, the viability of freelance copywriting careers, and resources for self-published authors. Reader Question: Can you realistically make a living as a solo copywriter (without also being a designer, social media marketer, SEO pro, etc.)? 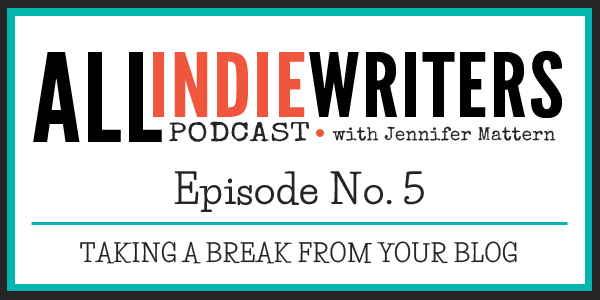 In this episode, I expand upon some of the listener questions answered in episode 2, related to taking blogging breaks. Given that it's the holiday season, it makes sense that some bloggers would want to take a vacation from blogging. There are parties to plan, family members to visit, and larger travel arrangements for some. Personally I take two to three weeks off at the end of every year, so I understand the appeal. Pre-write and schedule new blog content in advance. Solicit guest posts to keep content fresh. Ask someone to serve as a blog manager (or hire someone) who will update the blog, manage comments, and deal with routine admin work on the blog for you. In those last two cases, be willing to do the same for others when they want time off, and you might be able to exchange help instead of having to hire someone or write extra content yourself. Consider checking in on comments remotely to remove spam or approve pending comments. Another option is to turn off comments completely so you don't have to worry about them. One more option for comment management is to moderate everyone's first comment. This way regular commenters can still have their comments appear right away, and only new commenters wait in a moderation queue to prevent an influx of spam. Is Freelance Copywriting a Viable Career Choice? "Do you think being a copywriter, as a solo entrepreneur, is viable in today's economy given that people are now more interested in complex solutions for their content needs (design + promotion + social media marketing + SEO)? Yes, it is absolutely possible to make a living writing copy (and a great living at that). And you don't have to be an expert in design, SEO, social media, or anything else. Start by targeting the right clients. Lower-budget clients tend to have unrealistically high expectations whereas clients in more professional markets generally know that the best copywriter, the best designer, and the best marketing person for their project or company are probably not going to be the same people. If you legitimately have expertise in multiple areas, that's great, and you can use it as a selling point. But just because you'll find these kinds of gigs advertised publicly, it doesn't mean it's what most clients expect. Most pro-market clients don't publicly advertise when they need a freelance writer. So if that's all you're finding, you might need to broaden how you market yourself as a freelancer. Work with middlemen clients like marketing firms or SEO firms. They would subcontract their writing work to you while they handle the general marketing of SEO for their clients. The best part is they tend to bring a writer multiple clients at once. Just be careful not to rely on one or two firms exclusively, or you could be in trouble if things don't work out with one of them. Them having multiple client is not the same as you having multiple clients. Always diversify your direct clients. Partner with designers, social media marketers, or SEO professionals who also work as freelancers. You can do this by subcontracting projects to each other. Or you can set up a referral agreement where you refer your clients to each other. For example, if a designer gets an order for a brochure, they would handle the design work and refer you to the client to handle the copywriting portion of the project. 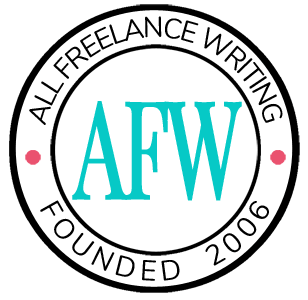 The following All Freelance Writing resources were shared in this episode. You can check them and other writers' resources out on the Writer Resources page.